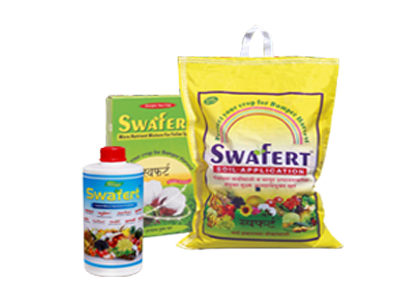 Protect your crop for bumper harvest - Swafert is a mixture of essential trace elements Zinc, Ferrous, Boron, Manganese, Molybdenum, Copper, Magnesium. It supplies balanced nutrition to plants through foliar spray. It helps in better utilization of NPK & also takes care of hidden hungers which can not be easily seen through symptoms on the crops. It thus helps the plant to grow with vigour, produce high yield of better quality as well as quantity. Partially Chelated micro nutrient mixture to overcome hidden hungers of nutrients of all crops . 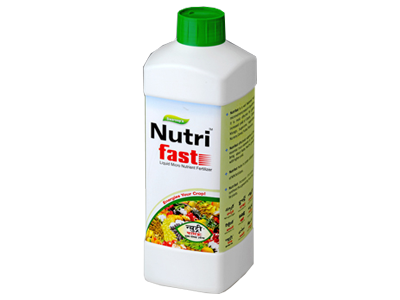 Nutrifast contains various Micro nutrients which are very necessary for plant growth. Growth of plant with higher yield. 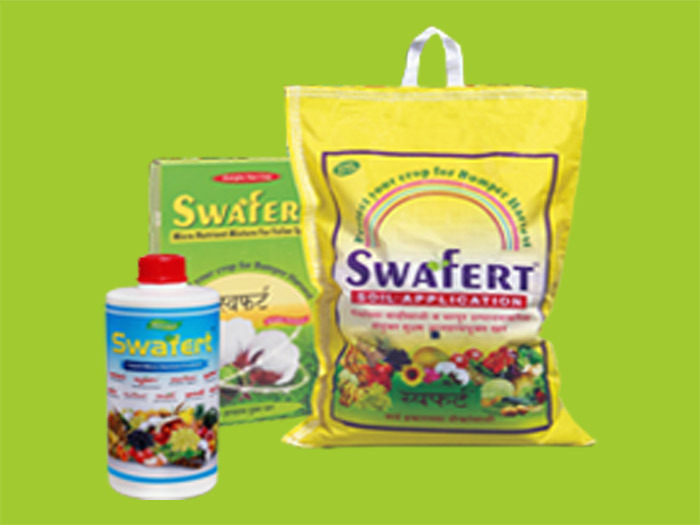 It also helps in proper utilization of NPK fertilizers. 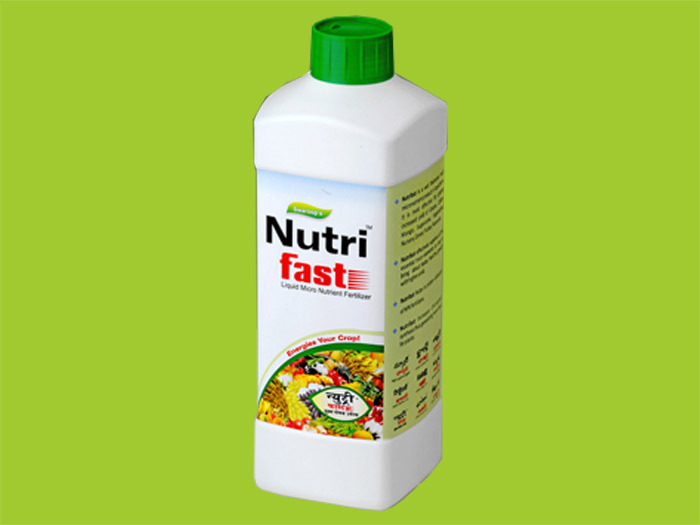 Dosage - Mix 2.5ml Nutrifast per liter water & spray on both the surfaces of leaves. CHELATION Means Neutralisation of positive (+) ions of Zn+ and Fe+ by reacting with negative (-) ions of chemical such as EDTA by a controlled chemical reaction .Being neutral in nature, these chelated nutrients can easily be absorbed by the plants thereby overcoming their deficiencies. They can also be given through Drip Fertigation. 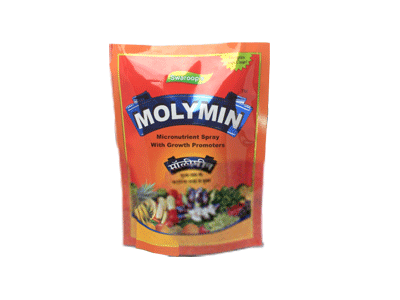 Contents : Various Micro nutrients as specified in by various states in India. 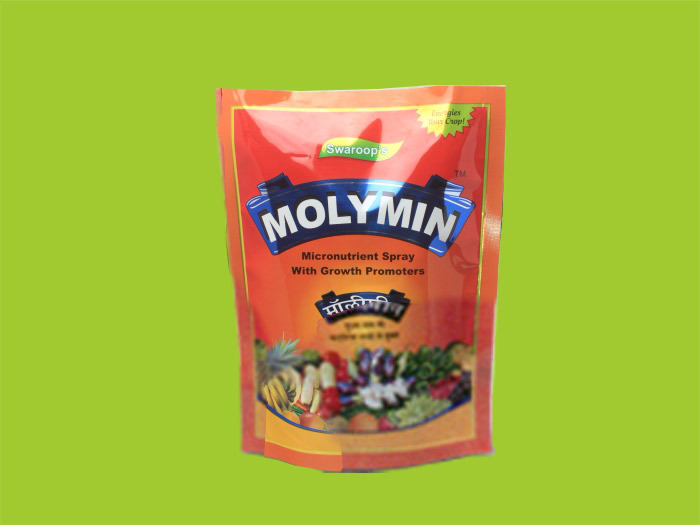 Special formulation to overcome Boron & Molybdenum deficiencies in plant. Crops such as chillies, Brinjal, Lady finger, Papaya, Tobacco, Cotton, Watermelon fall pray to curling of leavers due to an acute deficiency of Boron, Molybdenam & Manganese Molymin supplies these essential micro nutrients easily to the plant & thus hepls in healthy & vigorous growth of plant. Compatibility : It can be mixed with Curlfree (2.5g / Liter) to maximise the results. 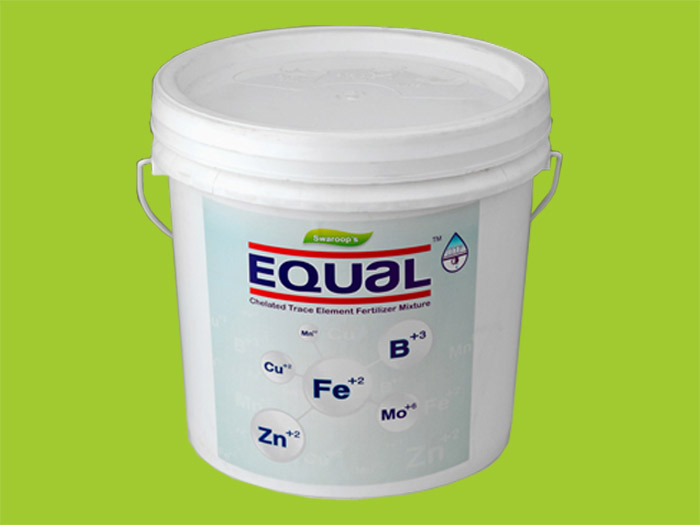 Chealated Trace Element Fertilizer Mixture. 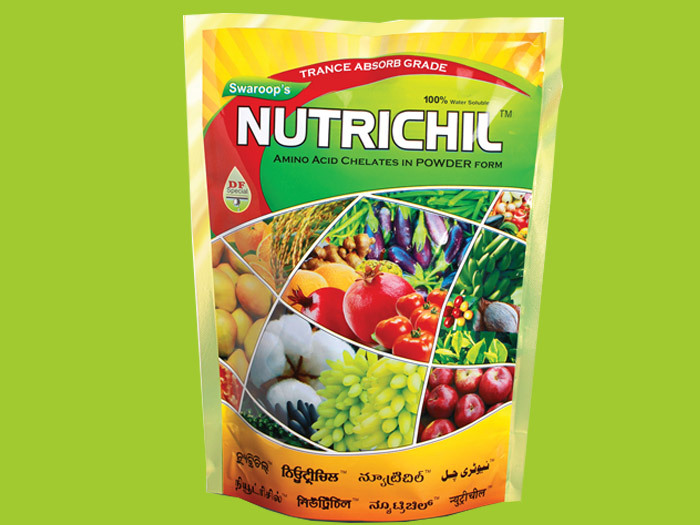 Nutrichil is specially formulated for making available Organic Nitrogen from Amino Acids along with Micro nutreints in chelated form to Plant so that they can absorb easily & quickly and brings healthy Growth all around. It increases chlorophyll content and enhances the photosynthesis activity. 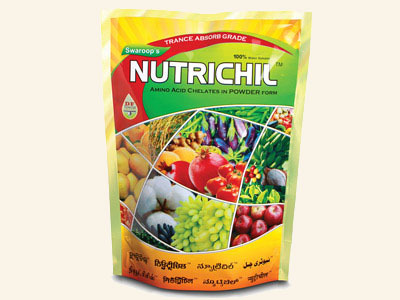 Nutrichil also helps in Pollination and fruit formation. It also boost up energy metabolism in the Plant. It also helps to overcome stress conditions in plant. 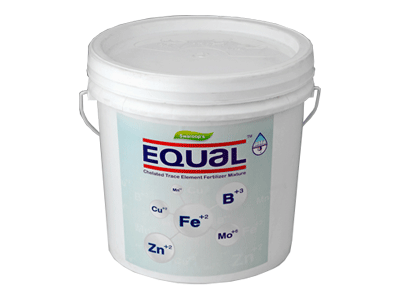 And 300-350 gms Nutrichil for Drip fertigation per acre. 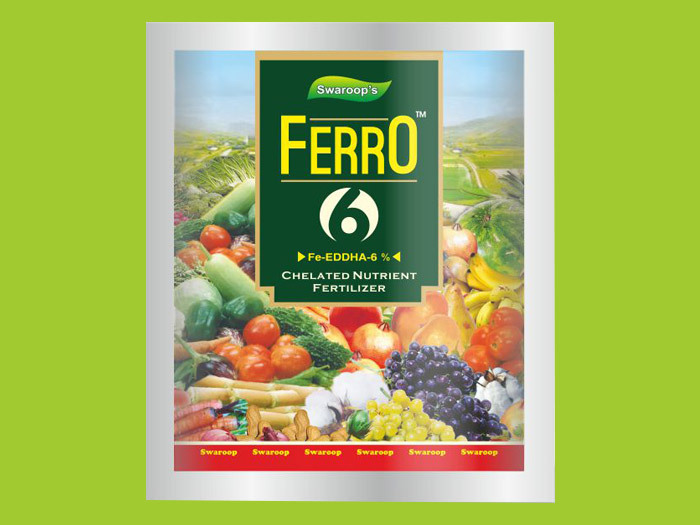 Ferro 6 is chelated Nutrient fertilizer. Iorn is most important for the respiration & photosynthesis processes and important in many enzymatic system like chlorophyll synthesis. 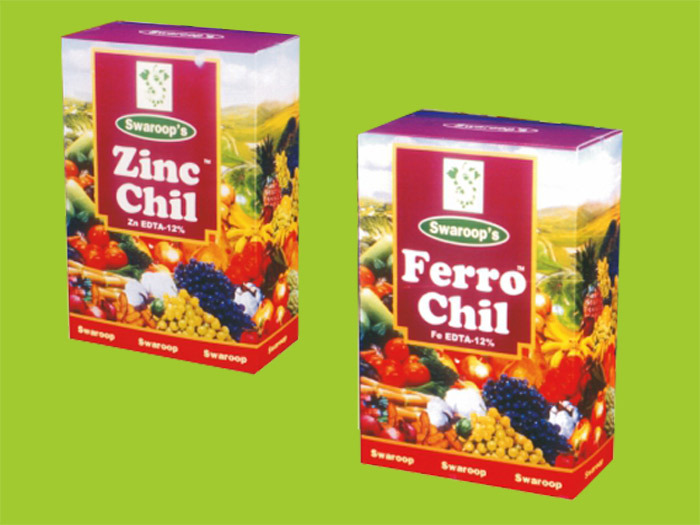 Ferro 6 is easily available as compared to Ferrous sulphate and avoids oxidation and precipitation of Fe+ ions. Thus give instant and fast growth of plant. 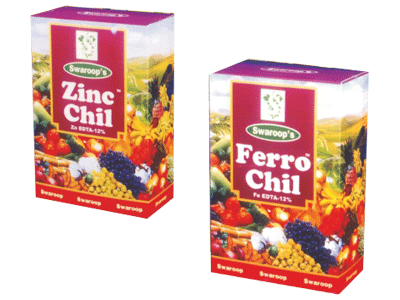 Ferro 6 prevent and correct Iron chlorosis in all crops. 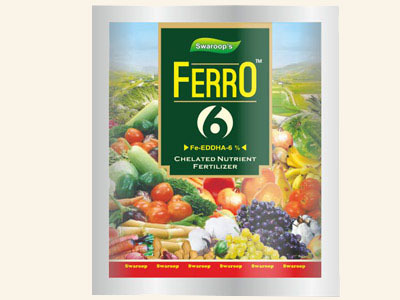 Ferro 6 is high quality Iron chelate which contains high quantity Iron bound in ortho form.thus providing effective coverage in Calcareous and Alkaline soils. 0.5 – 1 kg per Acre with appearance of new shoots or after transplantation and during high requirement of Iron. Application - it is only for Soil application by Drenching / Drip Irrigation system with sufficient quantum of water or supply directly to the soil.